ONE and TWO PERSON INFLATABLE KAYAKs - feature "SUPER-TOUCH"(TM) - a high molecular PVC that is unaffected by gasoline, oil and salt water. It is highly resistant to damage from abrasion, impact and sunlight. 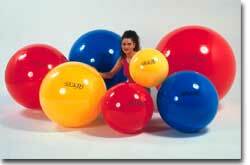 It also permits more air pressure for rigidity. Low profile for lakes and mild rivers! Responsive design, easy to paddle! Starting at $34.95 Ordering Info. Rugged SUPER-TOUGH� high-molecular vinyl construction. Super-Tough is a high molecular PVC that is unaffected by gasoline, oil and salt water. It is highly resistant to damage from abrasion, impact and sunlight. It also permits more air pressure for rigidity. Includes all-around grab-line, inflatable I-beam floor, grab handle at bow, welded oar locks and repair patch. U. S. Coast Guard I.D. RWTUV approved. Includes Two fishing rod holders, One gear pouch, all-around grab-line, inflatable I-beam floor, grab handle at bow, welded oar locks and repair patch. U. S. Coast Guard ID RWTUV approved. 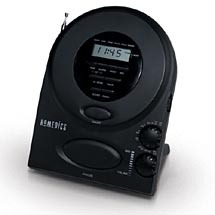 SOUND THERAPY RELAXATION SPA AM/FM CLOCK RADIO - Here is a deluxe acoustic clock radio and relaxation machine in one! The HoMedics SoundSpa clock radio gives you all the benefits of a radio plus a choice of music, an alarm or 6 nature sounds for a soothing wakeup call. LCD screen, snooze function, headphone jack. Starting at $19.95 Ordering Info. MOTOROLA'S New TalkAbout 280SLK's are small enough to fit in the palm of your hand or slip into a shirt pocket. Yet these radios are packed with enough power to deliver crystal clear communication up to two miles*. SLK 280(AA Battery Model) Retail $154.99 SALE $85.95 Ordering Info. CPR ASSISTANCE DEVICE - the only known CPR device with a patented one way valve which, when added with the other features, greatly reduces the risk of the transmission of infectious diseases when administering CPR. Ordering Info. FOREVER SHAKE LIGHT FLASHLIGHT - The Forever Shake Light Flashlight uses no batteries or bulbs. Instead it uses Faraday's Principle of Magnetic Induction and a bright LED to produce light without batteries. The flashlight is shaken for about 30 seconds to recharge a capacitor and it will then provide about 5-7 minutes of light. Ordering Info.